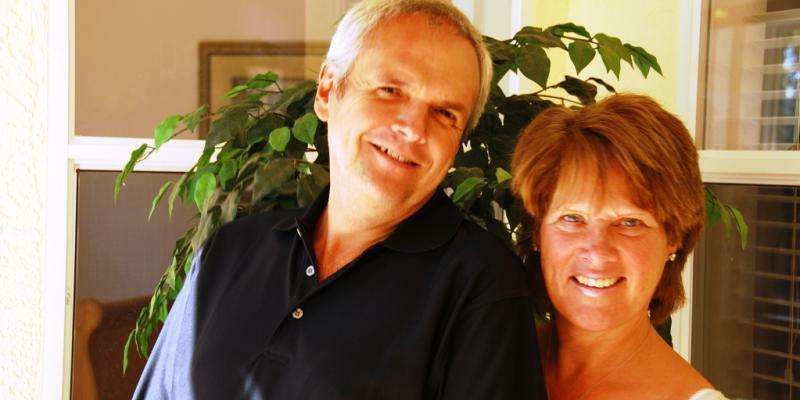 Today we are chatting to Ross and Sally-Ann who have a villa in Rotonda West in the Gulf Coast, Florida. The property sleeps 8 people, it’s close to white sandy beaches, and it has a private swimming pool and tennis courts. Property Ref: 12824 Tell us a bit about your property and its location. Ross: We bought the home after we had been renting in the area for quite a few years and when we retire (which is some time off yet!) we intend to use it a lot more. In the meantime we have furnished and looked after it as though it were our main home, and not just a rental property. Sally-Ann: It’s in a lovely quiet rural area so it’s peaceful but within an easy drive there are wonderful soft sand beaches, great restaurants, fantastic golf and a wide selection of places to go and things to do. The pool is lovely for children and the veranda is big enough to sunbathe on – you get the sun all day and we aren’t overlooked at all. Why do you love the area? Ross: We discovered Rotonda about ten years ago when we came here on holiday and we’ve been many times since. I travel a lot for work and I’m normally away from home for 250 nights a year, and Rotonda is one of the few places in the world I feel I can truly relax. We love the weather, particularly in spring and autumn – it’s a place where we can escape the colder weather! We love the fact it’s peaceful and quiet but not so far away that you feel isolated. Who would you recommend this property to? Sally-Ann: It’s ideal for families who have just burnt out in the theme parks and now want some calm family time, it’s also great for extended families to relax, and the four bedrooms with two large master suites make it perfect for two families to share. Talk us through your routine for making sure your property is perfect for your guests when they arrive. Ross: We have a great management team that live nearby and they lookafter the house as though it’s their own; they check the house before and after any of our guests arrive and make sure everything is working perfectly, even the light bulbs! They check the pool is sparkling and the house is spotless. Sally-Ann: Obviously things occasionally do go wrong, and when they do, a quick phone call has them round to sort it out in no time. We’ve had great reviews and really enjoy not just reading them but also acting on any feedback we get. Finally, give us a recommendation for your favourite local restaurant. Sally-Ann: It has to be Pink Elephant on Boca Grande, it’s a ten minute drive and the food is just the best! Also, there are stunning views of the Gulf of Mexico as you drive to the Pink Elephant for lunch or dinner. Stay in their villa in Long Meadow. We also have lots of other villas in Florida for you to choose from.